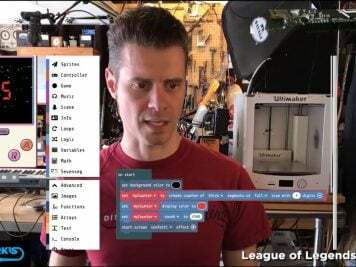 Five Ways to Use Pens and Markers In Cosplay « Adafruit Industries – Makers, hackers, artists, designers and engineers! The world of cosplay can be intimidating to a novice. It’s all too easy to talk yourself into stopping before you even start. The thing is, everyone starts somewhere. No one knows how to use Worbla or sew or program electronics or style a wig from the beginning; it takes time to build up a toolbox stocked with costuming knowledge. And, there’s no wrong way to get your hands dirty. Start with closet cosplay if that’s what you’re comfortable with, and if you’re feeling more ambitious, make your costume from scratch. A skill every cosplayer needs is the ability to look at an everyday object and see its potential. When you stop looking at a pen as only a pen and see that the cap is an ideal shape for Jedi food capsules, you know you’re ready to get rid of your Padawan braid. To help you think of out of the box, we’ll be taking an object or tool that most people have on hand and giving you five suggestions on ways to use it in your costuming adventures. 1. 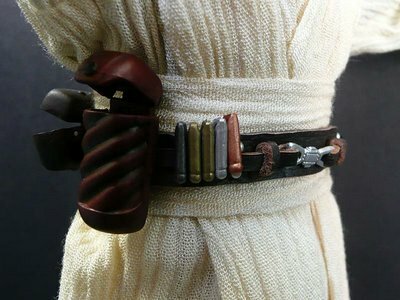 Jedi food capsule – Some Jedi, like Qui-Gon Jinn, carry clip on food capsules on their belts. The easiest way to replicate these is by using pen caps and spray painting them; it’s a fun and easy prop to make. You can check out a full tutorial for the process and make some of your own for a Jedi costume or just to display on a shelf. 2 . Wig dying – Need to dye a synthetic wig for your costume? You can turn to a Sharpie marker for the job. Get a few Sharpie markers in the color you want your wig to be, mix it with 70% rubbing alcohol, and tada! Bright colored wig for an affordable price. Check out a detailed how-to on the procedure. 3. Improve fabric designs – Some stretchy fabrics don’t hold patterns well once they’re on your person, but you can improve the lines with Pigma Micron pens or a similar product. 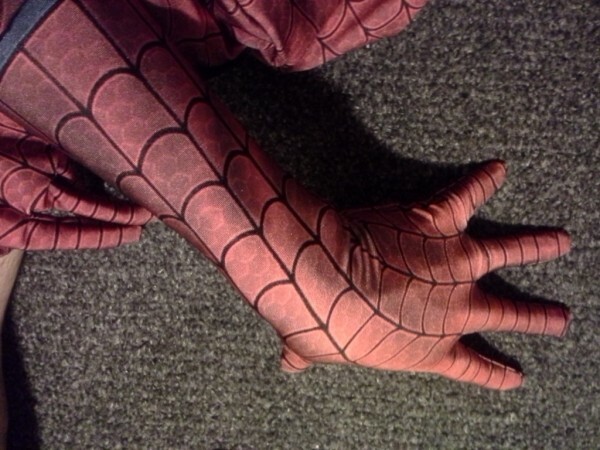 One guy used six or seven of the pens and took over 10 hours to go over every line in his webbed Spider-Man suit to darken the lines and give it just the right comic book appearance. This can make your costume look even snazzier. 4. Temporary tattoos – If the character you’re cosplaying has a tattoo and you can’t find an already existing temporary tattoo, you can make your own transfer sheet or draw the tattoo right onto your skin with non-toxic and skin safe pens or markers. Seal either method with talcum powder; the temporary ink will last at least a day. 5. Sonic screwdriver – A plain, ballpoint pen and a marker make a great base for the Doctor’s sonic screwdriver. 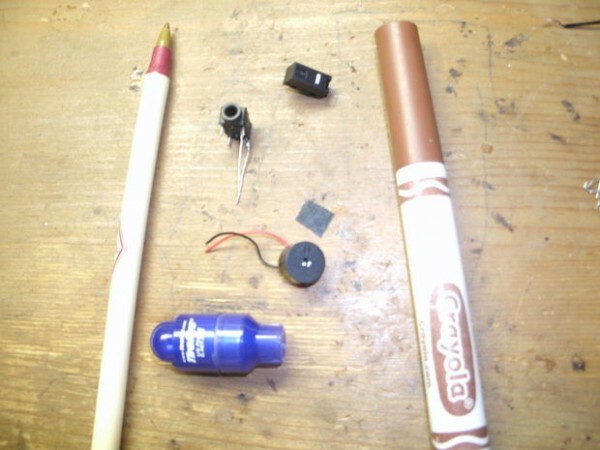 You can remove the guts of each and pile polymer clay on top of the casing and sculpt the screwdriver into being or follow this Instructables tutorial to create a more realistic version with sounds and light.